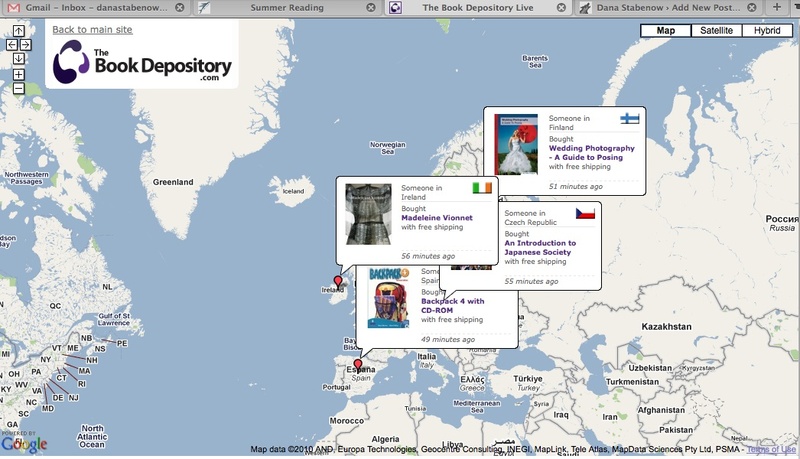 The Book Depository’s real-time bookselling map. Previous post: Poetry for a few hours and then the alcohol takes over. Next post: Not forgetting the chicken air mail. 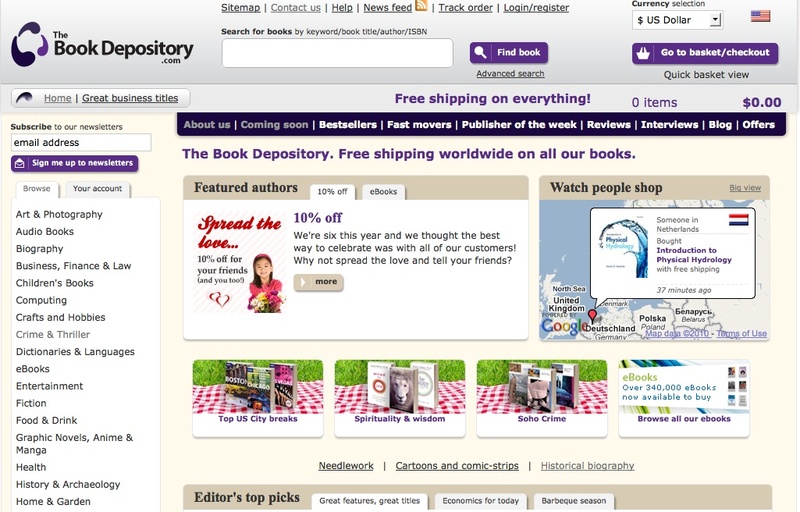 The Book Depository is an online bookstore in the UK with free shipping worldwide. And as if that weren’t enough, their website features one of the coolest things I’ve ever seen on the world wide web, a map that shows what books people from what countries are buying from the Book Depository in real time. Go here, immediately, to take a look, but only if you’re prepared to be mesmerized. While I was writing this post, someone in Singapore bought Tokyo Nobody, someone in Italy bought Robot Snap, someone in Australia bought Percy Jackson and the Something Labyrinth, and someone in Portugal bought Beautiful Eyes. I could watch this page all day. This is very cool. Thanks for sharing, I need to wander over and spend a ‘bit’ of time there! Thanks Dana. That is one of the coolest websites for sure. I would never have found it if I hadn’t read your post. Thanks again. ohmygod! This is definitely one of the coolest sites I’ve ever seen! must have awesome web peeps.